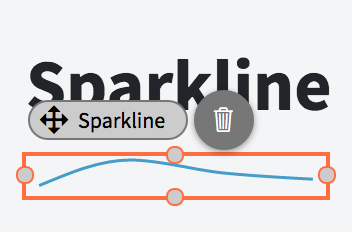 This guide demonstrates how to use the Sparkline component. Name string ‘sparkline’ + index suffix Unique name of the Sparkline. Data array null Sparkline data. Color string null Sparkline color. ValueProperty string null Sparkline data value property. Create a property and set its value. Use an array of some numbers: [1,5,3,5,3,2]. Drag and drop a Sparkline component. Set its Data to the newly created property. That’s it! The Sparkline will look like this. Often you would need to data-bind the Sparkline to data coming from a Radzen data-source (database or REST API). Invoke the data-source method and set a property with the result. 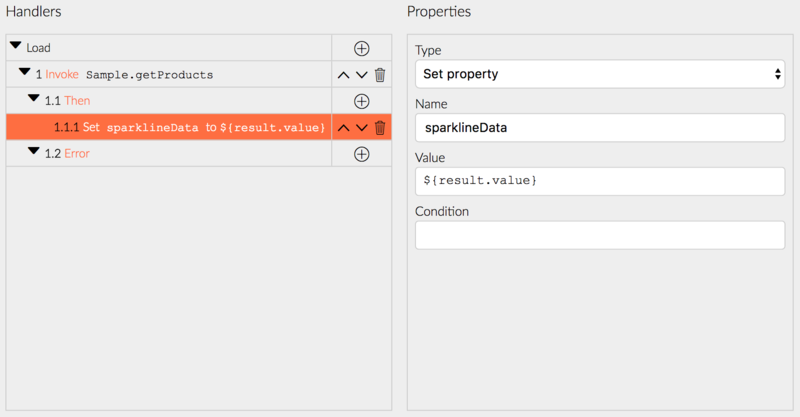 Set the Data property of the Sparkline to the result. 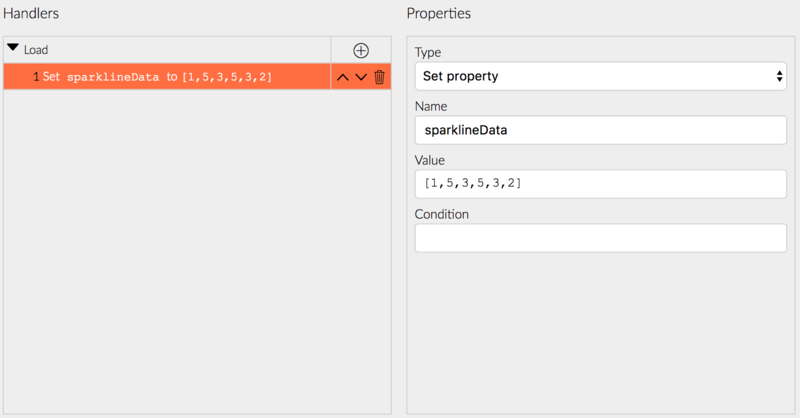 Set ValueProperty to the name of the property which represents the Sparkline data.